Eirteic Consulting Leads Integration That Consolidates 5 Bespoke BMC Remedy instances into 1 to Enhance Network Functionality and Operational Efficiencies. 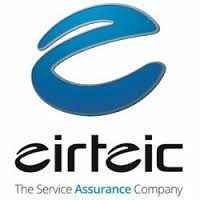 Eirteic, the Service Assurance Company, has successful consolidated 5 bespoke BMC Remedy instances into a single BMC Remedy ITSM 9.1.03 instance. This was part of a wider Global NOC (GNOC) OSS transformation project. This project was a multi-country, multi-platform, network transformation which will ultimately improve Customer Service, Operating Efficiencies and increase shareholder value. Eirteics specialist integration solutions are a game changer for the Client and they were excited to fulfil its ability to enable critical digital transformations. After reviewing its overall network operations center (NOC) and supporting IT systems architecture, the Client determined that the consolidation of their five existing NOCs in multi-country locations, into a single NOC with a service-centric focus, would result in OPEX reductions and improve operational efficiencies. The Client has a network management environment that is distributed across multiple countries and multiple Network Operations Centers (NOCs). The management environment consisted of multiple network monitoring tools and was integrated with 5 different BMC Remedy systems ranging from v7 to v8. The Client concluded that they needed to include BMC Remedy consolidation as part of the OSS transformation project to dramatically reduce their operating expenses and increase their efficiency. Having multiple NOCs with the existing suite of products was not meeting their cost efficiency, business agility, and customer experience management goals. Consolidate Fault Management of the remaining three NOCs, in multi-country locations. For Phase, 1 Eirteic analysed the Client’s business requirements and network management environment and implemented Assure1 to replace IBM Netcool with a single platform for Fault Management. The Federos Assure1 system fully integrates with BMC Remedy ITSM v9.1 which was implemented in parallel to the Assure1 implementation and consisted of consolidating 5 bespoke BMC Remedy instances ranging from v7 to v8. The Eirteic enabled solution helped the Client to re-design their organisation so that they could deliver an amazing network experience. Consolidated five bespoke (completely customised) instances of BMC Remedy (v7, v7.6 and v8) to a single BMC Remedy ITSM 9.1.03 instance. Migrated from separate bespoke undocumented processes to standardised best practice ITIL based processes. A multi-tenant solution needed to cater for 27 countries, multiple business units, contractors and vendors. Used for automated escalations, notifications, re-assignments, etc. Used to give Field Engineers easier access to Incident, Change, Tasks, etc. The fully multi-tenanted (both Federos Assure1 and BMC Remedy support multi-tenancy) solution, easily supports The Client’s business which has over 20,000 devices across 23 markets in multi-country locations. With the implementation by Eirteic, of the single, unified service assurance solution from Federos Software, and a single BMC Remedy ITSM instance in Phase 1, the Client internal users now have full access to event lists, filters, policies, device metrics, and reports to proactively ensure their customer requirements are being exceeded. The Client now also has the ability to provide external business customers with dashboards detailing where faults lie and log incidents with the BMC Remedy System. Phase 1 of the GNOC project has enabled the Client to lower their network management costs and introduced a new level of business agility. Their new customer-centric, service assurance process enables them to identify increasing customer demand and deliver new services faster than their competitors. The Client who had a long track record of providing customers with the best network was excited to be taking things to the next level with Eirteic enabling their GNOC OSS transformation, customers would quickly see the benefits. Future phases, once complete, will allow The Client to reduce OPEX costs further e.g. via headcount reduction, server warranty etc. and move The Client from a NOC model to a Service Operations Center and the ultimate goal, a Customer-Centric Service Assurance Center. Eirteic are an ‘Enabler’. Our Customers are Digital Service Providers and we enable them to thrive in a fast-changing world. We enable them to Improve their customer experience, manage their growth and control costs. We do this for customers all over the world, delivering major change with tangible results. How do we do that? We’re a perfectly sized company, with years of experience and fabulous project skills but, more than that, we focus on delivering real results at pace, making our projects fun, exciting and different. Our goal is summed up in three words Unify, Simplify, Enable.